Can you recommend some good home video monitoring devices that can help my sister and me keep an eye on our elderly mother? Over the holidays, we noticed that her health has slipped a bit, and would like to keep a closer eye on her. There are lots of great video monitoring cameras that can help families keep a watchful eye on an elderly parent from afar, but make sure it's OK with your mom first. Many seniors find this type of "I'm watching you" technology to be an invasion of privacy, while others don't mind and even welcome the idea. With that said, here are some top monitoring devices for keeping tabs on your mom. As the technology has improved and the costs have come down, video monitoring/surveillance cameras have become very popular for keeping an eye on your home, business, child or pet (via smartphone, tablet or computer), but they also work well for monitoring an elder loved one who lives alone. Most home video monitoring cameras today are sleek, small and easy to set up, but do require home Wi-Fi. Although camera capabilities will vary, the best devices all provide wide-view angles, HD quality video, night vision, built-in motion and sound detection that can notify you when something is happening, and two-way audio that let's you talk and listen. And, they also offer a video recording option (for an extra fee) that saves past video to a cloud, so you can rewind and review what you missed. 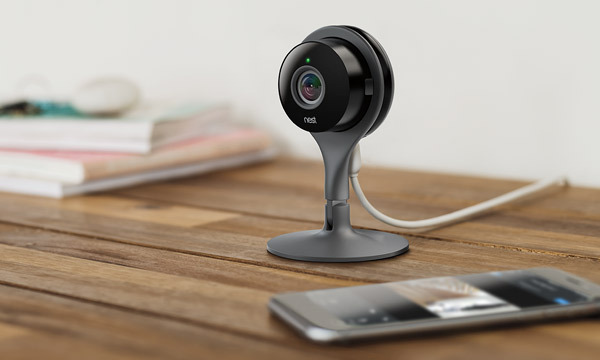 One of the best products available today that does all this and more is the Nest Cam, which costs $199, but if you want their video recording option, it's an extra $100 per year for a 10-day video history, or $300/year for 30 days. Also check out the Piper NV, which - at $279 - is more expensive than the Nest Cam but allows free Internet cloud storage. And the Simplicam, which is the cheapest of the three but the video quality isn't quite as good. They charge $150 for the camera, or $200 for the camera plus 24-hour video storage for one year. If your mom is uncomfortable with video monitoring, and doesn't want you to be able to peek in on her whenever you want, another less invasive option to consider is a "sensor" monitoring system. These systems use small wireless sensors (not cameras) placed in key areas of your mom's home that can detect changes in her activity patterns, and will notify you via text message, email or phone call if something out of the ordinary is happening. A great company that offers this technology is Silver Mother, which provides small sensors that you attach to commonly used household objects like her pillbox, refrigerator door, TV remote, front door, etc. So, for example, if your mom didn't pick up her pillbox to get her medicine or didn't open the refrigerator door to make breakfast like she usually does, or if she left the house at a peculiar time you would be notified and could check on her. You can also check up on her anytime you want online or through their mobile app. Silver Mother costs $299 for four sensors, with no ongoing monthly service fees.